Russia vs Croatia Preview: Can the hosts cause yet another upset? Russia and Croatia will be on your television screens at 7pm on Saturday. Russia and Croatia meet on Saturday in the last match to be played in Sochi at the 2018 World Cup. Fisht Stadium has already witnessed some of the most intense and spectacular action, including what possibly has been the greatest fixture so far when Portugal took on Spain. That game ended 3-3 thanks to Cristiano Ronaldo's magic, and the local fans will be hoping to bid a fond farewell to the venue in a similar vein by seeing the hosts advance to the semi-finals. Both teams overcame penalty shoot-out's to advance to the quarter-finals. Despite having as little as 21% possession versus Spain, Russia overcame all odds and defied their own nation's beliefs to get to this stage. They defended for their lives and their game plan worked magnificently, as not one Spanish player could unlock the door after Sergei Ignashevich's own goal, Russia taking it all the way to penalties and winning. The Croatians too were taken to the wire by Denmark. 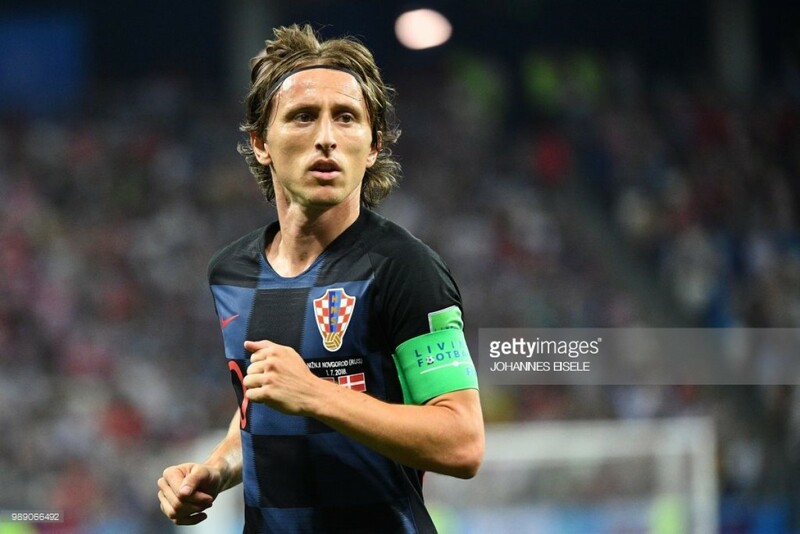 Luka Modric could've won it in extra-time but for Kasper Schmeichel's penalty heroics, so it went to penalties and was the tale of the two keepers. Schmeichel continued his shot-stopping by keeping Josip Pivaric and Milan Badelj out, however it was Croatia's Danijel Subasic who came to the rescue for his nation by saving three penalties. Neither side have any suspended players ahead of this tie, but both have many in contention to miss the semi-final if they receive another booking and dependent on which nation progresses. Croatia have the most players walking on eggshells with eight having received cautions so far this tournament. Ivan Rakitic, Mario Mandzukic, Šime Vrsaljko, Ante Rebic are the headliners in the list who all have started Vatreni's games so far. If any receive another booking it would prove to be a serious blow for their chances should they lose a number of their star men for their second semi-final in history. Marcelo Brozovic, Vedran Corluka, Tin Jedvaj, and Marko Pjaca join them on the 'naughty list'. The hosts have even more on the line with key men Yury Gazinsky, Aleksandr Golovin, Ilya Kutepov, Fyodor Smolov and Roman Zobnin all needing to stay disciplined on Saturday evening. Russia also have a couple of injury issues with concerns over the fitness of winger Yuri Zhirkov and Aleksandr Samedov who trained alone on Tuesday. Russia - Akinfeev; Fernandes, Ignashevich, Kutepov, Kudryashov, Cheryshev; Golovin, Zobnin, Gazinsky; Dzyuba, Smolov. Croatia - Subasic; Vrsaljko, Lovren, Vida, Strinic; Perisic, Modric, Rakitic, Badelj, Rebic; Mandzukic.